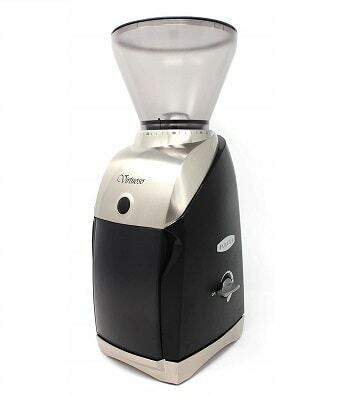 Want to learn how to choose the best coffee grinder for pour over coffee in general? These tips and recommendations can help. 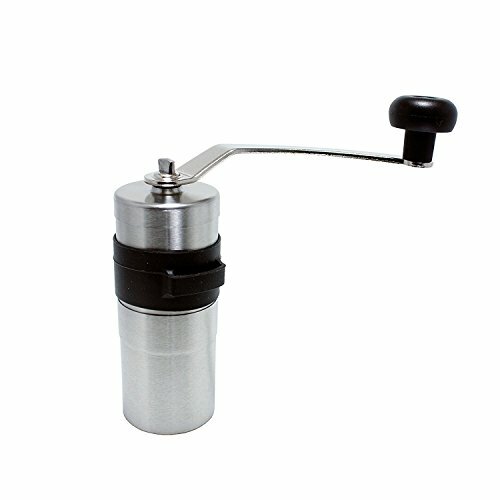 What Type of Grinder Is Best? How Does the Grinder Need to Perform? You’re going to want a burr grinder. Don’t even consider a blade grinder if you’re looking for reliably good pour over coffee. With a burr grinder, you’ll be able to make sure the grind is consistent throughout. 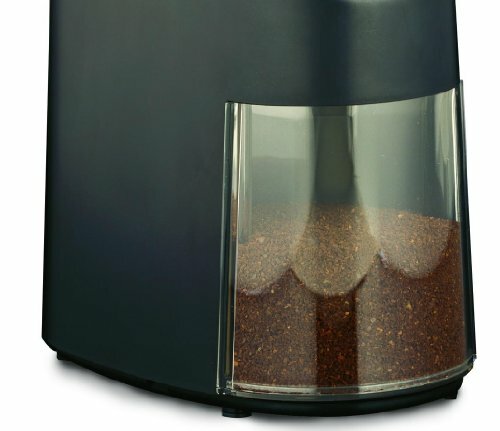 A burr grinder only works with a few beans at once, which ensures that the size will be about the same all the way through. A blade grinder, on the other hand, has blades that rapidly spin around. Think of propellers; they kind of look like that. Some beans may barely be touched by blade grinders, the majority will probably be about the right size, and then you’ll get absurd amounts of “coffee dust” which makes a mess and doesn’t lend itself to a great-tasting cup of coffee (some will not fly out onto your shirt and the counter and will make it into the filter with the ground coffee). The best coffee grinders for pour over coffee share a lot of the same characteristics. Let’s take a look at what makes a grinder the “best” at the most basic level (quality may still differ from brand to brand and model to model). 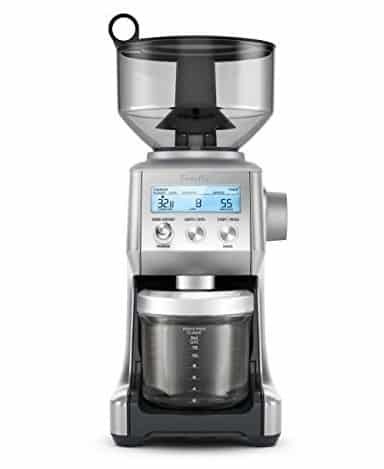 Take your pick between the manual coffee grinders and electric burr coffee grinders. Either one will work (and you’ll probably get sick of the manual ones once the novelty has worn off, if I’m being honest, especially if you drink coffee every day). Manual grinders tend to be less expensive, though. They’re also smaller on average than electric grinders. So if budget and/or counter space and portability are on the top of your list of concerns when shopping for a coffee grinder, manual may still be best. The grind is important. Look for a grinder that will produce a medium to coarse grind. Most of them will, but just be sure you’re not purchasing one that produces only fine or medium grinds. Some grinders may be more focused on espresso-style drinks, and in that case, the resulting grind would probably be too fine. This part really doesn’t matter that much, but since you may see it in product descriptions, I wanted to touch on it. It will boil down to personal preference. One of the biggest complaints about flat burr grinders is their tendency to hold the grinds when you try to empty them out. If you’re looking for a medium to coarse grind as you would be for pour over coffee, this isn’t much of an issue at all. However, if you want to use the same grinder for espresso, it’s worth considering. In most cases, the more important things to consider are whether it’s electric or manual, the grind size you’ll get from the machine, and which grinder best fits your budget. Want to go straight to the best grinders for pour over coffee? Here’s our list of recommendations. This is a conical burr grinder that typically costs less than $150.00. It’s perfect for people who are new to grinding their own coffee for pour overs and thanks to a grind range from fine to coarse, you can experiment with what you like and use it across brewing methods with ease. Use the knob on the side to take your pick of grinds. This one won’t heat your coffee beans up as it grinds them, which means you’ll retain as much unaltered flavor as possible. That translates to the most delicious cup of coffee possible from the beans you’ve chosen. The pulse button is conveniently placed on the front, well above the level of the knob on the side, so you won’t accidentally make any changes to grind size as you grind your coffee. This is one of the more affordable options (it’s manual), well under $100.00 and sometimes under $50.00. 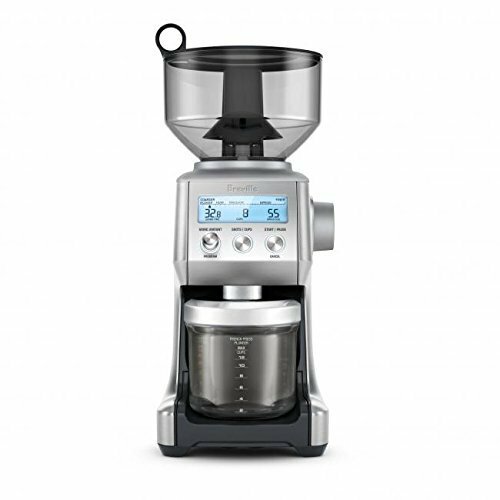 It uses ceramic conical burrs to grind coffee to a uniform size. It’s designed so it’ll stay put on the counter while you work (rubber bottom) and if you’re big on traveling and/or camping, you’ll love that the crank handle comes off easily so it’s easier to pack. Hate cleaning your coffee equipment by hand? It’s not a problem with this one. You can put it in the dishwasher and be ready for the next pot of coffee with very little effort from you (until it’s time to grind the beans, of course). This one is also under $100.00, but it’s also manual model. It only has a 20-gram capacity, so if you like making several cups of coffee at once, it might be annoying to use. The standout things about this model, however, are the fact that it’s designed to reduce static (if you’ve never dealt with static in a coffee grinder, be glad) and that it can also create fine to coarse grinds. 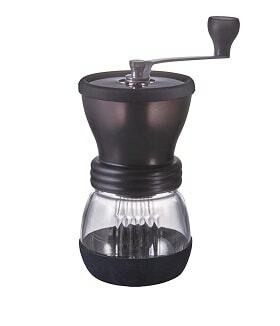 Here’s another conical burr grinder, this time with a price of about $100.00. It even comes in more than one color so you can choose the one that best fits your kitchen décor. This one is meant to grind more at a time than some of the other models. In this case, you can pour in 8.5 oz of beans. This is a fabulous pick, too, because you can choose from 16 grind settings and it’s electric, so you won’t wear your arm out working on your morning coffee. Get anywhere from Turkish fine to coarse grounds from the same machine. That means your coffee-making methods are unlimited provided you have the other necessary pieces of equipment. It grinds the coffee more slowly than most other grinders, which sounds like a negative for this machine. In fact, though, it’s a good thing to go slowly; there’s less heat build-up that way and the flavor of the beans will be preserved. This coffee grinder is one of the best on the market, and it’s also one of the most expensive on the list (there are more expensive ones out there). You can expect to pay about $200.00 if you want to go with this one. Get it in stainless steel, red, or black to match your décor and enjoy the fact that it can hold up to 16 oz of beans, allowing you to grind and brew fairly large amounts of coffee at one time. If you don’t like to grind coffee before every cup or pot, you could feasibly get your whole week’s worth of coffee ground in this one in one go. This model has a whopping 60 precise settings you can use to perfect everything from your espresso to your French press coffee (remember to keep the grind medium-coarse for pour overs). Grind the beans directly into an air-tight storage container and you’re good for the week. You can probably guess by the price that this is an electric model. It uses conical stainless steel burrs to get a universal grind each time, and it’s designed in a way that minimizes the heat the coffee oils are exposed to in the process. You can also choose how much coffee you need to grind, from number espresso shots to cups for a French press. The Virtuoso is another winner from Baratza. It’s a professional grade model designed to minimize heat exposure to the beans and oils, reduce noise, and cut back on static. What more could you ask for than a grinder that preserves the taste of your coffee, doesn’t wake up the neighbors, and helps you avoid coffee dust on nearby surfaces (and yourself)? This one is one of the pricier models at over $200.00. It uses 40 mm conical burrs to get the job done and ensure a consistent grind (fine to coarse). It can hold 8 oz of beans at one time, and you can grind them directly into an espresso basket and use the timer to make sure you get exactly the grind you need for your perfect cup of coffee. Some users may find this one of the most beautiful grinder options, which is important if you intend to keep it on the counter at all times. You want it to be nice to look at, and the gleaming metal finish provides a clean, modern look. The pulse button on the front is conveniently placed and matches the finish of the grinder. The Bodum Bistro burr grinder is a fun option because it comes in several different colors and finishes. Love blue or red? Like the clean look of white appliances? Or do you prefer a metallic finish, like copper or chrome? They have you covered. This is also one of the least expensive options on the list, usually available for less than $150.00 and sometimes even less than $100.00. You may be surprised to know that it is an electric model based on the lower price point. One of the main feature differences that could contribute to the difference in price is the number of settings. Though it can grind anywhere from coarse to fine, there are only 14 settings from one extreme to the other. The Bodum Bistro comes with a glass container, which can help cut down on static. It has a timer and a slip-free design, which is especially important when dealing with a glass container. The conical burrs are made from stainless steel. Is a manual model okay or do I need/want an electric one? 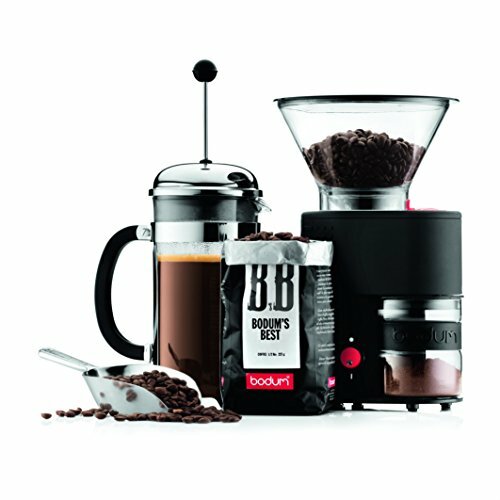 Do I prefer a specific brand based on what I’ve experienced with other coffee gear? Does my grinder need to look a certain way or is it all about function? 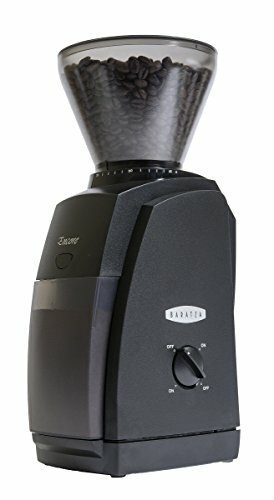 Is it important for my grinder to be capable of producing a wide variety of grinds, and how specific do they need to be (for example, would you be comfortable with 14 settings or do you want to play around with 60 to really perfect your cup of coffee)? How much coffee do I need to grind at one time? Remember that it’s generally a good idea to go with slightly more than you think you’ll need (more cups in less time, better quality, more versatility, etc) if you’re trying to decide between two or three models that could meet your needs—as long as you’re not breaking your budget. If you err on the side of fewer grind options, for example, you could find yourself wishing you’d gone with a different model if you get the urge to try out a new brewing method.